The SLICK subwoofer is a new breed of VIBE subwoofer. It features a single piece rubber surround and gasket which gives it a truly unique look especially when the same rubberised finish is applied to the single piece IMPP cone and the chassis. Vibe’s R&D team has been hard at work ensuring that the Slick subwoofers offer the ultimate in performance and technical advances such as dual progressive Conex spiders and multi layer, heavy gauge copper voice coil winding ensure that the performance of this subwoofer is class leading. Finishing touches such as the spring loaded, nickel plated speaker terminals and the rubber T-yoke with unique slick detailing show that nothing has been left to chance with these subwoofers. 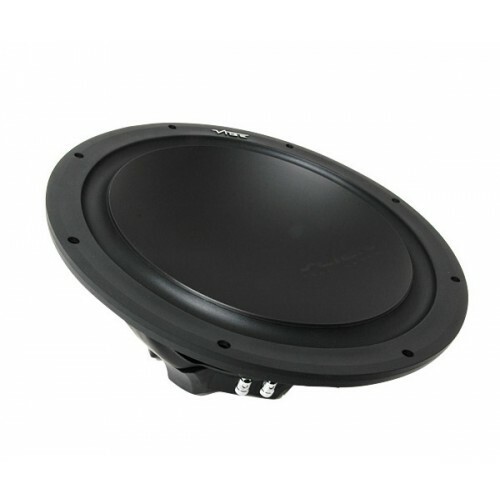 The characteristics of the Slick subwoofer are quite unique in that they produce overwhelming amounts of tight accurate bass, if its fast slamming bass you want, the Slick range of subwoofers are your perfect choice.